There’s an interesting report in The Times today; if you have a Times subscription, I urge you to take a look behind the paywall. The purpose of the story is track sales growth online, and there is much additional data regarding online research, different online trends across luxury/premium/mass market products, and so on. No doubt about it, we are leading the world in Britain, which makes the repurposing of our high streets and an intelligent repsonse to the Portas Report all the more vital. 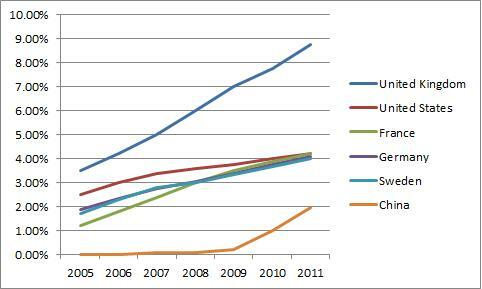 The flatter growth in the US is surprising; the sudden take-off in China is no surprise at all. Music and video close the decade with 95% of sales online, and books are at 75%; within these percentages a large (but unspecified) proportion of the whole will be digital downloads. 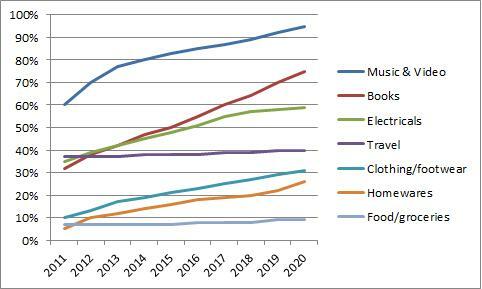 In physical products, electricals soar to just under 60%, and clothing/footwear and homewares grow significantly. Travel and food are more stable, but still likely to see growth. Both charts show a percentage of spend, and are therefore not suggesting that total spending by category could rise. They simply illustrate channel shift, and spending might just as likely fall. And then we went to Croydon: It’s 1981, and we’re Getting Down to Our Price! Cast your mind back thirty years (if you can remember that far). It’s Christmas 1981, mid-way between the old King’s death and our modern world. We’re going to Our Price Records at 70 North End in Croydon, to see what a mini retail boom looks like. Economically and politically, 1981 hasn’t been a good year. The Thatcher government’s medicine is having its effect; unemployment is up, inflation is up, and there is much talk of a one-term government – though Labour’s leader looks unelectable. The summer has been marked by a fairytale royal wedding, and some pretty extensive riots. How the world changes. But Our Price in Croydon is a pure cash machine. About 1500 sq ft of net selling space delivering sales of about £500 a ft – you’d be pretty pleased with that sort of return thirty years later, and if you were paying sales assistants £70 a week (inflation adjusted, that’s about £5 an hour in 2011 values), you’d be making a lot of money. Our Price was started in the early 70s under the name “Tape Revolution”, the legend being that founder Gary Nesbitt couldn’t find the cassette he wanted in existing record shops, so opened his own. By 1981, there were about 70 branches, and the chain would eventually swell to over 300, swallowing up Harlequin, Sound FX and Virgin’s high street stores before it was eventually overtaken by a reinvigorated HMV, and then terminally absorbed into the Branson empire in the 90s. 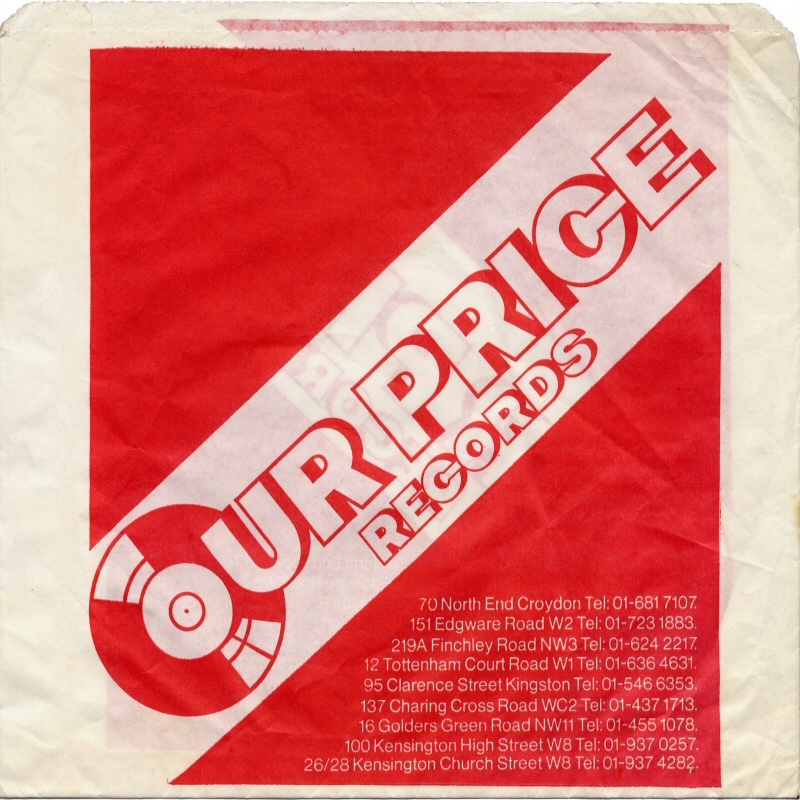 The business was built on discounting (hence the name), selling top albums cheaper than high street competitors like WH Smith, John Menzies or Boots; UK releases were complemented by container-loads of cheap imports poured into a warehouse in Heston, providing more depth and variety than the traditional chains could manage. 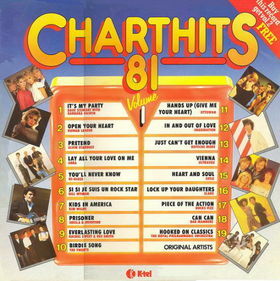 Despite our cassette beginnings, here in 1981 we sell records – albums, singles and 12-inchers – to be played on music centres and hi-fi separates systems across south London; cassettes are a secondary format for motorists, although more and more people are buying those new-fangled Sony Stowaways. And, aside from cleaning cloths and blank tapes, that’s all we sell – it’s a very pure business model. The retail environment is, well, grubby. We show the hoover to the old grey carpet in the morning, and we may dust occasionally, but diesel fumes from the buses outside, combined with fast food odours and mandatory smoking (customers and staff) create a heavy fug. The shop is a bowling alley in form, long and narrow, with wire LP racks and formica cassette shelves down the walls; a Top 60 chart in the window and a raised counter across the back. Shrinkage is kept down by the simple expedient of removing all the records and tapes from their sleeves and cases, and keeping them filed behind the counter in masterbags – a stock control system that is simple and almost foolproof (unless the masterbag is misfiled…). The counter itself is a slab of red formica, behind which four staff hammer away at two Casio tills and control a queue each. In Christmas week, the shop is rammed from 9:00 right through to closing at 6:00. And at Christmas 1981, British pop music is on a roll. We’ve killed off prog, survived punk, and we’re seeing new wave transmogrify into a raft of exciting bands, new sounds and much visual excitement. Adam Ant is for the teenies, but Human League, OMD, Soft Cell, Heaven 17, the Associates, Wah! and Echo & the Bunnymen all promise great things, while the Clash and the Jam hold the line for guitar rock. Bands like Blondie and the Police have already conquered the world, and although there’s plenty of schlock for the mums – Shakin’ Stevens, Bucks Fizz, Elkie Brooks – there’s much to be hopeful about. Providing new Brummie band Duran Duran don’t stick around, and aren’t followed by a new generation of shallower, kids’ bands and years of anodyne pop respectability, we should be fine. The job – I’m assistant manager, by the way – is fast-paced but essentially very straightforward, and thanks to Head Office’s light touch, we can be pretty imaginative instore if we want to promote indie singles or dance 12-inchers. We are selling hard and having fun, and if you want to buy Olivia Newton John, madam, that’s just dandy with me. The calendar makes this a particularly enjoyable Christmas. Christmas Day is on Friday, so we’ve got a three-day weekend to look forward to, when every shop in the country will be closed. Then, a week of Record Token madness and attempts by Croydon wide boys to exchange well-worn vinyl for something tastier. We let these debates run long for the pure enjoyment of them – they’re almost as much fun as joshing with record company reps who attempt to get us to beef up our chart returns on their behalf. (I take a puritanical line here: first, accept the free stock, then refuse to corrupt the charts, compiled for the BBC by the British Market Research… Bureau.) After the shop closes, we nip smartly round the corner to the Whitgift Centre’s own pub, the Forum, which is decorated to look like the last days of Pompeii. 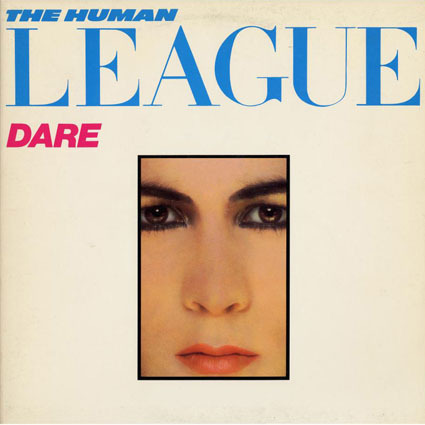 They’ve got something for everyone, as a result – Human League, Queen, Cliff Richard, Diana Ross, Pink Floyd, Orchestral Manoeuvres in the Dark, Madness, Japan, Olivia Newton John, the Rolling Stones, Stranglers, U2, Genesis, Gillan, Heaven 17 and Duran Duran. I’ll be ordering about 1000 pieces from them, albums and tapes, and this essential shipment will be split into many different cartons and several deliveries, perhaps across several days; yes, even in 1981, with the world at its fingertips, EMI is doing its best to do its worst. A strong pop roster: Soft Cell, Blondie, Ultravox, Dire Straits, Level 42, Kool & the Gang, Rush, Siouxsie & the Banshees, and Rainbow, plus for the mums, Barry Manilow and the soundtracks to Cats and Chariots of Fire. Now it’s the Americans’ turn, and they are so much better at this distribution lark than the Europeans. CBS manages its catalogue rigorously, and has a state-of-the-art pressing/distribution facility in Aylesbury; everything we order will be delivered first thing the next morning. CBS also distributes A&M, which is doing very nicely indeed. Another 750-piece order, I think: Adam Ant, Elkie Brooks, Abba, Shakin’ Stevens, Simon & Garfunkel, the Police, Johnny Mathis, Julio Iglesias, ELO and Earth Wind & Fire. 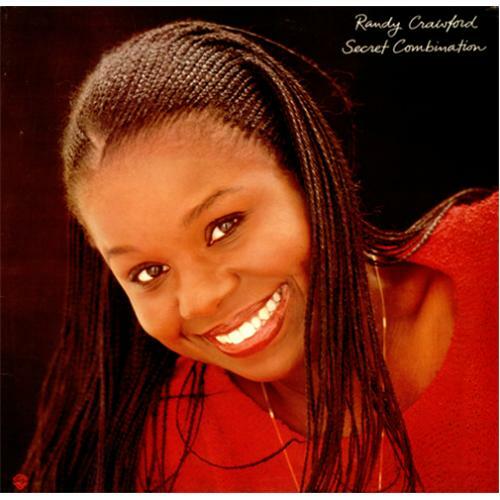 Randy Crawford is a massive hit, but Christopher Cross (K56789), Rod Stewart, Elvis Costello, the Pretenders and AC/DC don’t give them as much breadth as the other majors. 300 pieces should be fine. 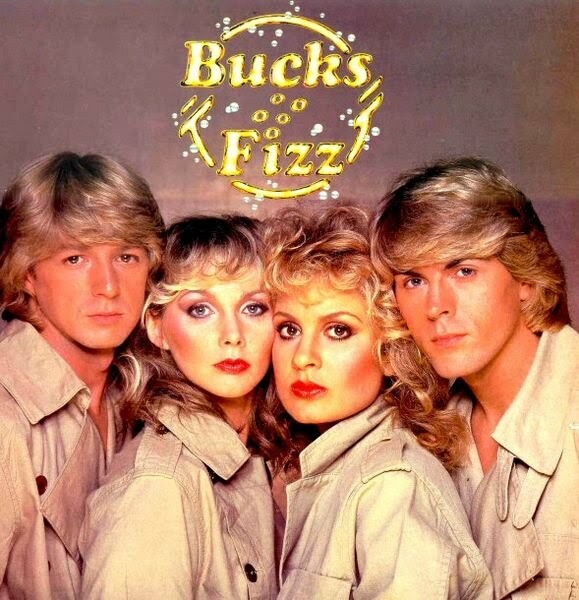 Going into Christmas with an ageing Bucks Fizz album, a(nother) Bowie hits collection and a(nother) Diana Ross Motown collection – a bit weak. 100 albums/tapes will do me for a couple of days. They’re big in Croydon – I’ll have 100 pieces. 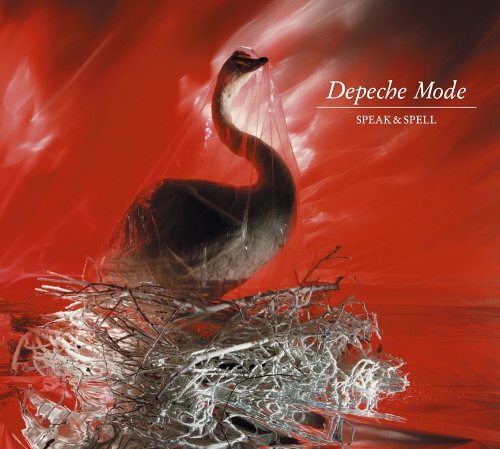 Some big albums come through these distributors – Depeche Mode, UB40, New Order, Joy Division and (a south London special) General Saint & Clint Eastwood. 250 pieces to order here. 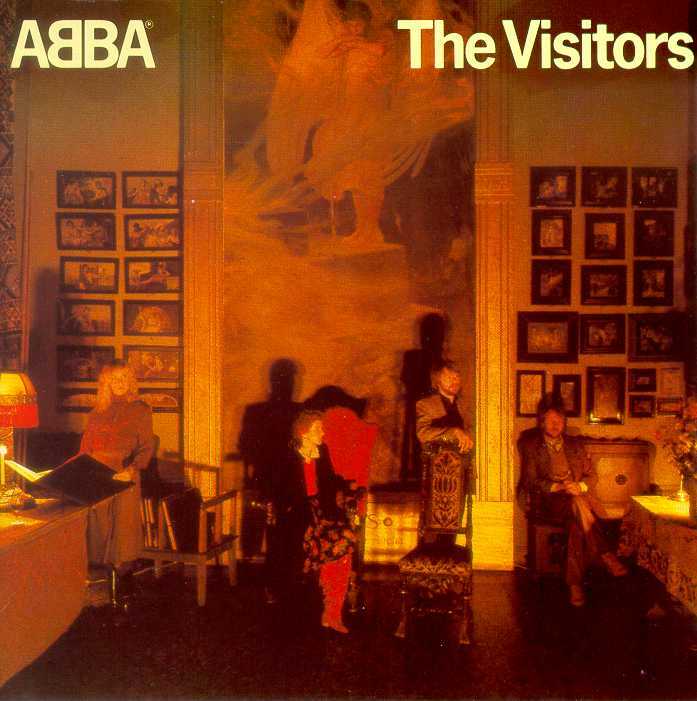 Chart Hits 81 (“buy Volume 1 and get Volume 2 FREE!”) is a monster, one of the biggest selling albums of the season. Timing instore availability to align with the ITV ad slots (Channel 4 hasn’t been launched yet, there’s only one commercial TV station) is crucial – get it wrong and you’ll turn away a hundred unhappy customers. Other TV-advertised specials include Hooked on Classics, Country Sunrise/Country Sunset, and (hurrah!) Chas & Dave’s Christmas Jamboree Bag. I’ll need about 500 pieces across this little lot. And that’s it. Count the cash, phone in the sales number to the area manager, and clear off home. Via the Forum, of course. Wherever you are, a big hello to Big Tom Smith, tyro Liberal Cathy, Mike and Lewis (double-act), Dawn, Dee and Andy. Merry Christmas, everyone. Parallel Lines: can technologies co-exist? The BBC’s World at One news programme has been running a series of interesting interviews with book trade notables, allowing them the opportunity to consider the state of the business. At this quiet time for book news, trade papers and bloggers have been picking up and sharing their comments. To give you a flavour, here’s The Bookseller on Kate Pullinger (these are exciting times, think “storytelling” rather than “book”); James Daunt (booksellers will be OK if they do a better job than Waterstone’s has been doing and the publishers raise their production standards); Victoria Barnsley (hold tight for the digital revolution and a world of “frenemies”), and here’s blogger Paul Carr on Graham Swift (we’re all doomed). Of this group, Victoria Barnsley is the real change-maker, and her predictions for a digital future assume that change is going to substantial. 50% of fiction sales may be in digital formats within two years (up from what, 8-10% at present? No one really knows). Amazon (which Barnsley believes controls 90% of the online market in physical books, and 70% in eBooks) is a direct and powerful competitor for HarperCollins, and its advances into publishing are a significant cause for concern. – Everybody will be piling in to try and share in the eBook gold rush, though it’s hard to see in the short/medium term who can provide a comparable service to Amazon’s. I’ve been trying to imagine a world in which the physical book and the eBook co-exist as fiction channels. I’m struggling to think of other instances of old and new technology happily co-existing when both deliver the same fundamental offer. If the difference between the two formats is sufficiently distinctive, then perhaps there is a future for both, but I can’t imagine Bernard Cornwell, Clive Barker or Cathy Kelly having dual lives for very long – the simple economics of book production will count against them. Now, I appreciate that the printed book has been around since Gutenberg – this isn’t the Sony MiniDisc that we’re talking about, this is a technology entrenched in every aspect of our lives. And yet, and yet. Let’s take a look at music and video technology. Well, you knew I would. 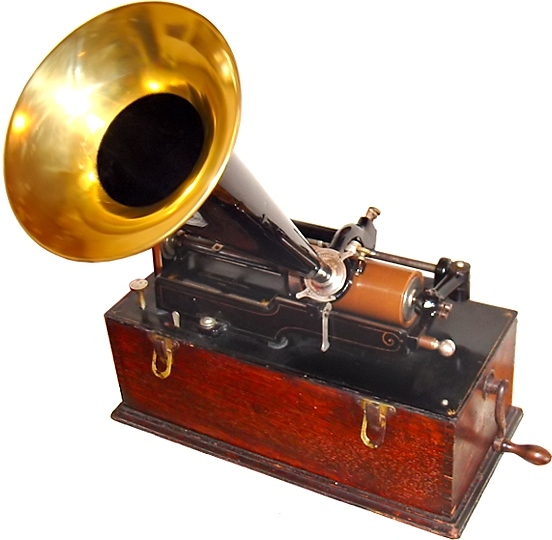 1905: the market for recorded music is split between gramophone records, and Edison cylinders. Despite massive manufacturer and consumer investment in cylinders (which provide better and more consistent sound reproduction), the market chooses discs, and the cylinder is effectively dead by WW1. Early 1950s: long-playing records are introduced. The 45 rpm single directly replaces the 78 rpm disc. The first Elvis Presley singles on Sun sold at least as well at 78 as they did at 45, but by 1958 the 78 rpm disc, dominant for half a century, is all but finished. Late 1960s: the market splits between static music (records) and portable music (8-track cartridges, quickly superceded by cassettes). Each fulfils a different role, at the limit of what technology can achieve. 1980s: CDs are introduced in 1983, and supplant LP records by the end of the decade. Audiophiles and DJs cling to the format, but as a consumer product the disc-and-stylus are over, after 90 years. 1990s: CDs progressively supplant cassettes, as the challenges of managing lasers in a moving environment (car stereos, personal stereos) are overcome. Late 1990s: MP3 downloading starts, initially a wholly illegal activity. Following the launch of iTunes and the iPad, the cassette is killed off, and CDs decline towards extinction. Each time new technology is introduced (and we could have gone down the Betamax/VHS/DVD/streaming route instead), early adopters are followed by mass market acceptance; there then follows a point at which a significant proportion of the market has to be disenfranchised. Retailers and manufacturers don’t wait for demand for old formats to decline to zero, but move the market along. Once 70% of your album sales are on CD, it’s time to drop LPs (having progressively stripped back range and commitment over the previous couple of seasons). As downloads form an increasing part of the singles market, retailers progressively gave up on CD singles. Dixons always makes great PR play on its killing off old technologies, as this press release on CRT TVs emphasises. The venerability of the book format counts for little – particularly when the true comparison for eBooks is with the mass-market, popular fiction paperback. Penguin launched in 1935, but the mass-market explosion dates from the 1950s. 60 years isn’t a bad innings for a format. Paperbacks have little or no parallel existence with hardcovers – the former eliminates the latter from the market. Why should mass-market paperback fiction continue in a supporting role to eBook formats? Finally, a thought on “storytelling”, as mentioned by Kate Pullinger. eBooks can do everything (tactile objections notwithstanding), that paperbacks can do; but they can of course do much more, as the “pure” eBook elides into apps, participative content and a hundred other variations. Stories can be told through acting, music and visual art, and new technology can bring these elements together in new ways. We have a new technology that can replace the paperback. Why on earth would it not? Popular Kindle reading has reached a tipping point. The average UK shopper now spends £4 per month on ebooks and 53% of Kindle users say they are now reading more books than ever before. Better still, grumpy bibliophiles are falling in love with the Kindle’s sleek, reader-friendly lines, its lovely facsimile of the printed page and, yes, its literary chic.